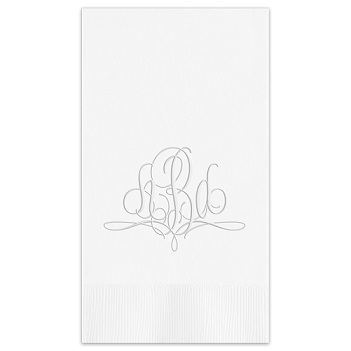 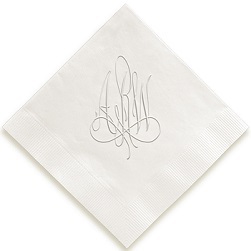 Grace your party table or powder room with the exceptional Paris Monogram Embossed Guest Towel. 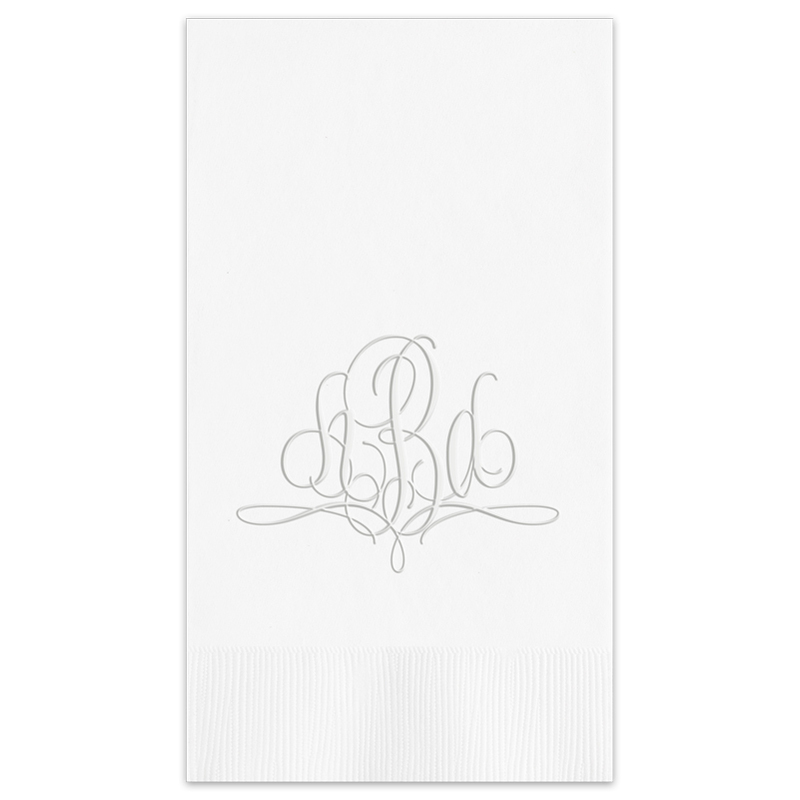 The beautifully scrolling monogram, high quality paper and precision embossing will have your guests exclaiming, "Très élégant!" 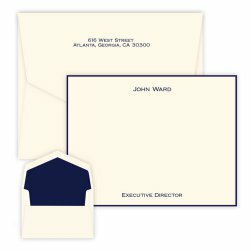 Create yours today! 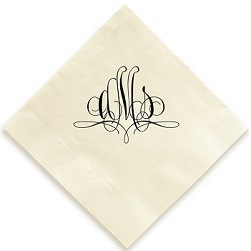 These guest towels come in a large array of colors to match any decor.